Do you want to add a garage to your home? Are you researching detached and attached garage options? You may feel overwhelmed scouring the internet for various types of garage structures; there are so many options available that you may not know which one to choose. Know that you’re not alone. At Wholesale Direct Carports, we want to help you find the detached garage in Texas that fits your needs. 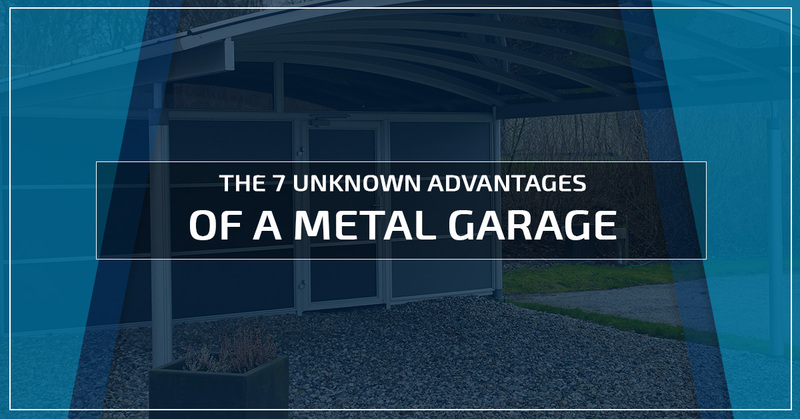 In this article, we’re going to share some of the unknown advantages of a metal garage. You can customize your metal garage to fit your needs, as well as build it where it best serves you. Just as important as it is to understand the advantages of a detached garage in Texas, you will want to consider how you design it, too. For most homeowners, a detached garage is built to fit their needs to due to lot size, building shape, and how they will use it. Here are some quick tips on how to design your garage so that you can take advantage of the benefits shared later in this post. As mentioned above, lot size is probably the most common concern for homeowners like you interested in a detached garage. Whether you have an odd lot size, certain building parameters to follow, or unruly neighbors, a metal garage is a great choice that can be customized to fit your needs. While designing your detached garage in Texas, it’s important to consider the land you will be giving up to construct this building. For some, adding a metal garage removes ample play space for children in the yard. For others, a detached garage may be a way to buffer the hobby shop that’s going to be built inside. No matter your needs, your lot size plays into many of the other factors. What is the shape of your lot? Can you fit a detached garage in your lot? A long, narrow stretch of land may be perfect for a metal garage. What’s more, you my have ample room for the garage, as well as a decent shape of land to accommodate the structure. What you want to watch out for is narrow tracts of land that doesn’t allow for vehicles to make the turn into a garage. You want to be able to use your detached garage as you see fit, so make sure the shape of your lot will allow it. How will you be using your detached garage? What do you plan on storing, parking, or doing inside of it? If your metal garage is a simply a space to practice your hobby, the lot size and shape can be a little more flexible. However, if you’re going to use the detached garage to park vehicles inside, it’s best if you determine whether or not your lot can accommodate the use. As a metal structure, a metal garage offers a variety of advantages over stick-framed buildings. Detached garages are traditionally stick-framed. While this is still a viable way to frame a building, you can also post-frame a building with steel or wood. At Wholesale Direct Carports, we offer the finest metal garages in Texas. When it comes to durability, the steel in metal garages can handle nearly any type of inclement weather. High winds, large hail, and lightning are no match for a detached metal garage. What’s more, the material will last for decades to come. You don’t have to worry about deterioration or long term maintenance. A metal garage is virtually maintenance free. Your detached metal garage is easily maintained. Rarely will you need to replace a metal sheet, either on the walls or the roof. For most homeowners, they have the exterior of their barn cleaned once or twice a year. Also, if there are needed repairs, they are simple and straightforward. The cost of maintenance with a metal garage is much lower than your traditional stick-framed building. When it comes to building a metal garage, the timeline is much shorter than your traditionally stick-framed structure. For the most part, the longest part of metal garage construction is the permitting process which can take four-to-eight weeks, depending on the city or county. Once necessary permitting is completed, a metal garage can go up in as little as two weeks (sometimes quicker). In comparison with your traditional stick-framed building, a metal garage is much more affordable. The materials used to build a metal garage are few, and they are easily sourced from local or national suppliers. Depending on the complexity of your custom metal garage, you will appreciate the price difference compared to a traditionally detached garage in Texas. Metal Garages are fireproof. The materials used to build them are either fire resistant or completely fireproof. If a fire started inside your building, the metal building, as long as the doors and windows were kept shut, would contain the fire for a certain amount of time. If a fire were to encroach on the metal garage, it would not burn it down. This simple difference between a detached metal garage and a traditionally built garage is a huge advantage. If you decide to go with a metal garage, you won’t have to worry about structural damage due to insects, bugs, or rodents. Steel is resistant to this type of damage. You won’t find a bug that can eat through steel. Do you want to build a metal garage to host parties, design a man-cave, or store more than your vehicle? You don’t have to worry about external temperatures ruining or affecting your belongings. In fact, you can insulate your metal garage to maintain an internal climate. Insulation helps seal up spaces, gaps, or leaks that may allow warm air out or cold air in. When it comes to a detached garage, you want to choose the best structure to fit your needs. As you’ve read above, metal garages are a great choice to complement your lifestyle. Wholesale Direct Carports has more than 20 years of experience serving customers in Texas with detached garages. 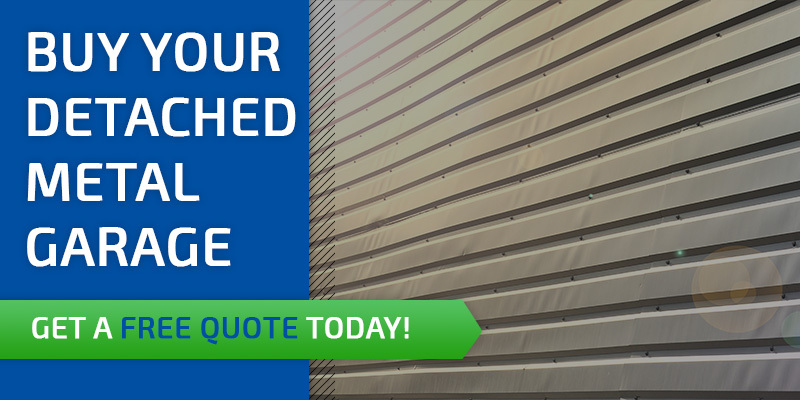 Call our expert team today to get a free quote!